APPSC Group 3 Hall Ticket 2019: Candidates can download their AP Panchayat Secretary Screening Test Hall Ticket online on the official website @psc.ap.gov.in. You can use the link we have provided on this page to download your hall ticket. The Andhra Pradesh Public Service Commission (APPSC) Group 3 Exam is set to be conducted across the state of Andhra Pradesh in A.P. Panchayat Raj Subordinate Service. All the details pertaining to the Exam Centres, Exam Timings and more has been made available on the candidates’ hall tickets. The APPSC Group 3 Hall Ticket has released! The AP Gram Panchayat Secretary Hall Ticket has been uploaded on the official website and candidates can download it now! Find the procedure to download the exam admit card in the “How to Download Hall Ticket” Section. The AP Panchayat Secretary Exam Dates have been declared. They are given in the following section. How to download AP Panchayat Secretary Group 3 Screening Test Hall Ticket 2019? In this section, click on the link for the APPSC Panchayat Secretary Hall ticket Download Link. If you are still facing problem in downloading the AP Group 3 Hall Ticket , you can send in a grievance letter to appsc.halltickets@aptonline.in. All the details regarding the APPSC Panchayati Raj Secretary Exam are available on this page. 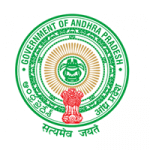 You will find details regarding the exam Andhra Pradesh Public Service Commission (APPSC) Admit Card release dates, Admit Card download Details and much more as you read through this article. 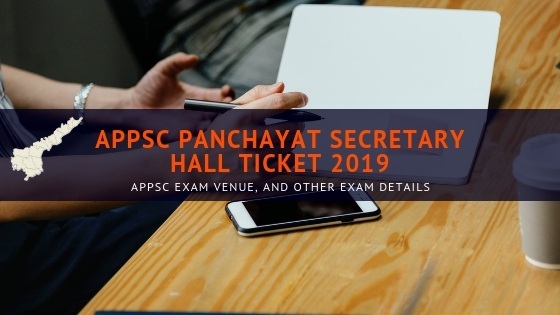 Keep in mind that this page acts as a hub for all the latest news and information regarding the APPSC Panchayati Raj Secretary hall ticket 2019. Therefore, this page will be constantly updated with the latest information regarding the Admit card. As mentioned, the APPSC Panchayat Secretary Exam will be conducted throughout the state of Andhra Pradesh in a select number of Exam Centres which are mentioned below. Candidates can check out the cities in which the exam will be conducted from the list mentioned below. Candidates can select up to 3 cites to appear for their exam. The APPSC will do their best to accommodate you in the city of your preference. Keep in mind that you can download your official APPSC Group 3 Exam Hall Ticket from the link provided above. Also, keep in mind that we will be updating this page with the latest news and updates regarding the APPSC Panchayati Raj Secretary Exam 2019. Feel free to comment on all of your queries in the comment section below. We are always present to provide you with assistance. Subscribe to our website @ GovtJobIndia.com for latest updates. I think exam will be conducted after ap elections..